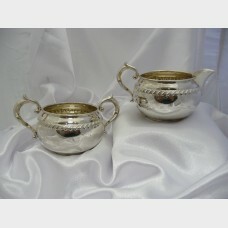 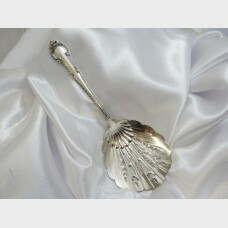 London coin Galleries of Mission Viejo offers a vintage collection of gently used silverware and Sterling Silver pieces. 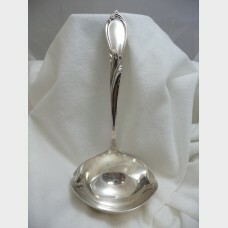 Cohr sterling silver spoon. 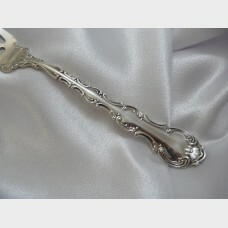 Vine design on handle. 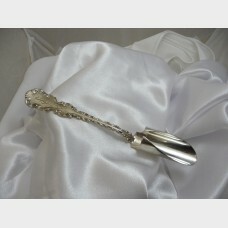 Spoon weights about 22 grams and is 4 1/2" long. 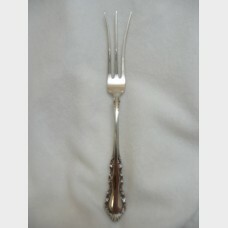 ..
Gorham sterling silver handle/stainless steel blade cake server in "Melrose" pattern. 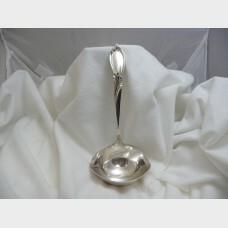 The server wei..
Gorham sterling silver demitasse spoon. 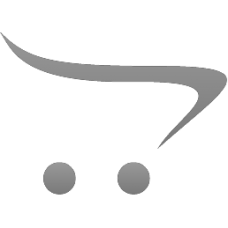 "Strasbourg" design. 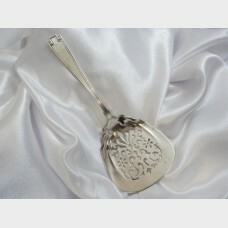 Spoon weights about 14.6 grams and is 5..
Vintage sterling silver solid Gorham spoon in "Versailles" pattern. 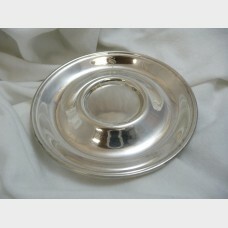 The spoon weighs about 31.2 gram..
Set of 6 vintage sterling silver Gorham mini saucers/plates. 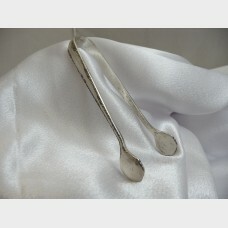 Marked Gorham "Sterling A5550" on the b..
Vintage Gorham sterling silver sugar cube tongs. 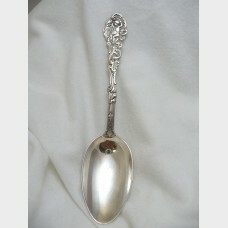 26.6 grams and about 4" long. 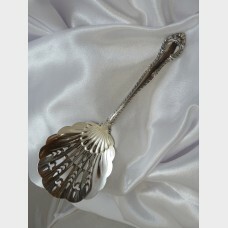 In good vintage condi..
Gorham Sterling 'Etruscan' Tomato Server. 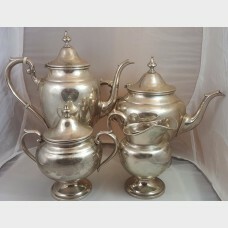 The server measures about 8 inches long and weig..
Gorham Sterling Silver 4 piece set - teapot, coffee pot, sugar bowl, and creamer. 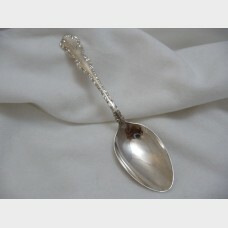 Set has light scra..
Vintage Gorham Bon Bon serving spoon. 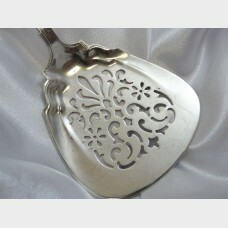 Beautiful Design. 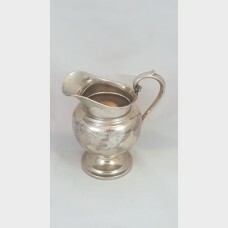 Weighs about 74 grams and is 7 3/4" lon..
Gorham Milk jug and sugar bowl in sterling silver, 20th century, marked as in pictures. 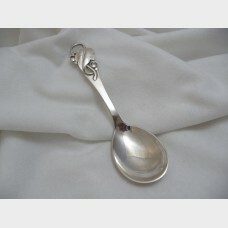 Dimensions: ..
Gorham sterling silver spoon. 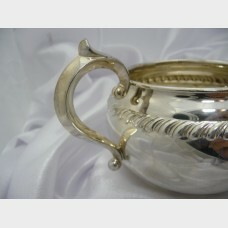 Monogram design on handle and "M J S 3-11-58" on back. 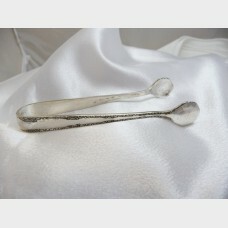 Spoon weights a..
Vintage sterling silver Gorham cheese scoop. 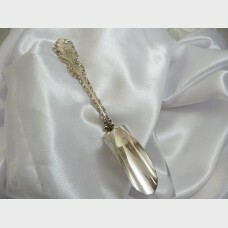 This scoop is about 8 inches long and weighs 62.2 grams..
Vintage sterling silver Gorham serving fork. 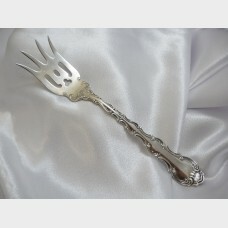 The fork measures 6 13/16 inches long and weighs 39 gra..
Vintage sterling silver gravy ladle. 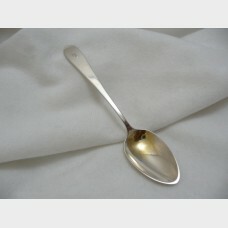 The spoon measures about 7 1/2" inches long and weighs 70 grams..